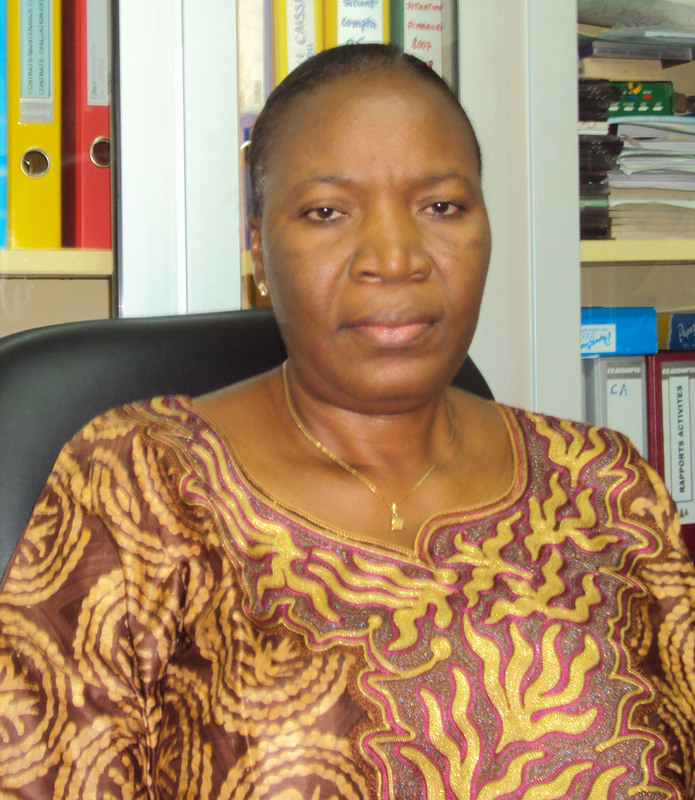 ASLM recently sat down with Dr. Abiba Kere Banla, Director of the Togo National Institute of Hygiene (Institut Nationale d’Hygiène – INH) in Lomé, to discuss the Institute’s push to assure quality and achieve accreditation. The INH, whose main roles include ensuring public sanitation, performing immunisations, and promoting laboratory-based disease diagnosis and research, is in the process of joining with the central epidemiological service towards the creation of a National Public Health Institute (NPHI). The role of the Togolese NPHI will be to provide central guidance and competence to efforts focused on the achievement of significant, country-wide public health goals. The NPHI in Togo will be vital to the success of regional efforts to improve disease prevention, detection, and response. The INH currently works in conjunction with African regional networks, such as RESAOLAB (Réseau d’Afrique de l’Ouest des Laboratoires d’Analyses Biologiques), to improve health by bolstering medical laboratory services, systems, workforce development, logistics, and funding in West Africa. With the launch of new pan-African networks such as the African Public Health Laboratory Network (APHLN), laboratory systems throughout Africa will be able to further collaborate to strengthen their diagnostic, surveillance, and research capacity toward addressing the rise of non-communicable diseases and containing global health threats such as Ebola. A fundamental element of laboratory network and system strengthening is accreditation. Laboratory accreditation, a validation process in which external quality assessment is used to determine competency and compliance to known international standards, helps certify the delivery of timely and high-quality services to patients and healthcare professionals. Once accredited, laboratories in a functional tiered network become a capacity building resource for other laboratories within their networks. The accreditation process not only improves the performance of laboratories, but also ensures quality patient care and safety. When and why did you decide to pursue laboratory quality improvement towards the ultimate goal of accreditation? 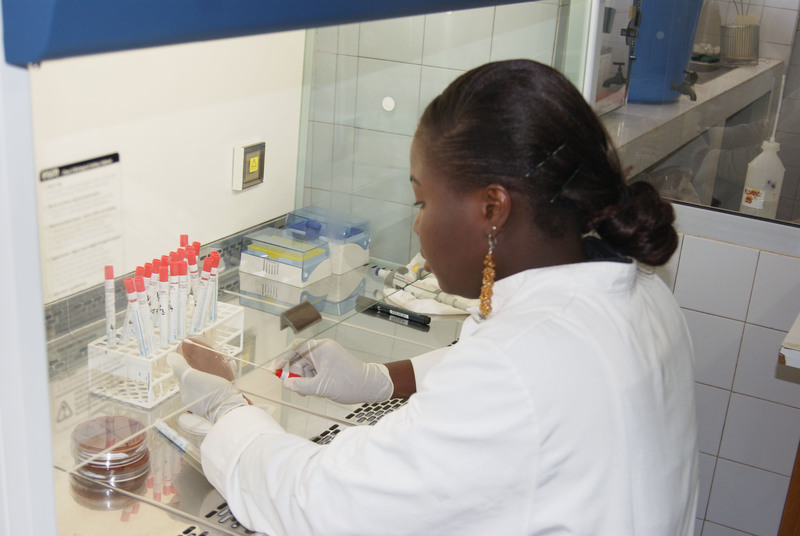 Quality improvement in our laboratories is an ongoing objective of the management and technical team of the INH of Togo. Our continuous goal is to deliver test results that are as accurate as possible. Our institution is the public health laboratory of Togo; as such, the laboratory performs routine analyses to confirm diseases under epidemiological surveillance, to regulate food and water quality, and to diagnose patients. Recognising our important role in public health, it has been essential for us to ensure that our organisational and technical system allows us to deliver accurate, reliable, and timely laboratory results. It’s crucial for us to be able to say, without doubt, that cholera is the cause of diarrhoea cases in a region, that frozen poultry meat is contaminated with salmonella, or that a person’s blood sugar is at a certain level. The only way to arrive at high-accuracy results is to be adherent to quality norms and standards, to establish a quality management system in our laboratories, and to maintain and constantly improve the quality system. The purpose of accreditation is: 1) to instil confidence in our customers by showing them that we have established a quality system and that our results are reliable; 2) to require ourselves to maintain and advance laboratory quality by allowing an outside agency to evaluate the laboratory regularly, through audits; and 3) to make the most of an experience that can assist other country laboratories to develop quality assurance. What steps have laboratory managers and personnel taken to meet accreditation criteria? We started by defining our quality policy and appointing a Quality Assurance Manager. The next step was to educate all staff on laboratory quality and develop documents including a quality manual, standard operating procedures, forms and generating records consistently. Then we engaged in a work plan whose goal included meeting the requirements of the International Organization for Standardization (ISO) 17025 standard for food microbiology and ISO 15189 for medical laboratories. Systematically, we had to examine each point of our system and compare it to the frame of reference, highlighting differences and correcting them over time. Our particular activities included renovating laboratories, acquiring new equipment, purchasing online standard documents on the AFNOR (the French association for standardisation) website, training managers, setting up internal controls, and connecting laboratories to external quality assessment systems. We filed noncompliance sheets in all laboratories, which are used to document gaps when they occur and to make improvements. Now, we also record, analyse and process all customer complaints, as well as records and trace all activities in the pre-, per- and post-analytical results phases. Another critical aspect has been the control of measurement instruments. For this activity, we appointed a calibration manager who is responsible for laboratory equipment calibration and auditing. Periodically, we use internal auditors and external auditors to assess any aspect of our system compared to the standard, which allows us to correct deviations. We also hold annual management reviews, in which officials evaluate the entire system and make decisions to potentially reorient quality objectives and modify improvement strategies. Could you tell us about the accreditation process for your laboratory? What were the steps to accreditation? The first step was a “mock audit” carried out by a technical expert. The audit revealed the need for extensive restructuring, layout changes, new equipment, and organisation of documents. Three external audits followed this step, which demonstrated the laboratory’s progress in terms of quality management according to the standard. Once the last external audit determined that our quality system conforms to quality requirements, we requested an accreditation evaluation from COFRAC, the French Accreditation Committee. COFRAC sent a laboratory information request form and requested access to our quality documents and the definition of our accreditation perimeter. Then we received information about our COFRAC evaluators and the planned dates of evaluation. The accreditation evaluation process developed in three phases: the opening meeting, the quality audit and technical evaluation phase, and the closing meeting. Throughout the course of the closing meeting, evaluators presented results in terms of gaps, then provided their overall appraisal of the quality system before concluding the meeting. Three months after this time, we received an official mail from COFRAC informing us that the laboratory is accredited according to the ISO standards. In November 2014, the haematology laboratory successfully passes its second surveillance audit. In January 2015, the food microbiology laboratory also successfully passed its third surveillance audit. What challenges did you face while pursuing accreditation? How did you overcome these challenges? The process leading up to accreditation has been marked by challenges, both at the managerial and technical levels. An important aspect has been the mobilisation of staff around the goal of accreditation. The implementation of quality requirements means additional daily workloads for laboratory technical teams. It was therefore necessary that each staff understand the challenge and participate. Another aspect was financial: infrastructural renovations and improvements were required to ensure the premises’ conformity to standards, new equipment was purchased, maintenance contracts for equipment were established, external quality control contracts were created, documents were purchased, and audits required payment. To overcome these challenges, we put everything in place to ensure good staff commitment through constant interaction and recognition of their efforts and their role in ensuring the success of the process. In monetary matters, financial managers and the Board were informed of the ongoing process, its importance for quality laboratory results, and the associated costs. We also requested help from our ministry for infrastructure development. Another challenge is maintaining accreditation. It is an on-going task to keep staff motivated to maintain the highest quality, and to provide the necessary resources to address the needs of quality management and continuous improvement. Why is it important to obtain accreditation, in your opinion? What are the advantages and disadvantages of accreditation for the laboratory and its clients? I think it is first important to establish quality management and quality progress in the laboratory. Accreditation is also very important because it validates the quality of the process while giving the laboratory an official recognition of its competency. One advantage for the laboratory is that its quality system enables it to deliver reliable results, thus instilling confidence in those receiving services. Another thing is that once accreditation is obtained once, the laboratory managers and staff feel obliged to maintain a certain level of quality. There is also a change in demand: customers are increasingly informed about the quality of services and, as such, an accredited laboratory may see the demand for its services increase significantly. Another advantage is that personnel develop a habit of following procedures at work, a habit that will be maintained and passed along to other technicians. For the customers, the advantage is that they can be confident that the laboratory results they receive are correct. Do you have advice for other laboratories that are interested in accreditation? I encourage laboratories who are interested in accreditation to engage in the process. I encourage them to emphasise quality management because it’s the laboratory quality system that will be evaluated, and the results of this evaluation will affect accreditation. It is important to establish a plan with deadlines and to put everything in place to best meet the deadlines. Quality management is a team effort. 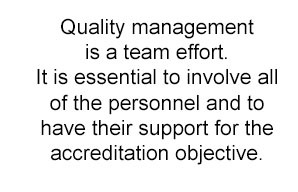 It is essential to involve all of the personnel and to have their support for the accreditation objective. The laboratory director must strongly engage in the process so as to facilitate the mobilisation of the whole team. The laboratory director must identify and organise supervisors, allow supervisors to undertake initiatives, create a framework of continuous communication, supervise the process and provide resources. Resources may include human resources, financial resources, documentation and materials, and training opportunities for staff and supervisors. If pursuing international accreditation, it may be necessary to request the assistance of an expert. Doing so will allow for the periodic review of the quality organisation, improve areas that are lacking, follow the implementation of corrective measures, and assist rapid laboratory evolution toward the attainment of an efficient system and a successful accreditation evaluation. What can ASLM do to help laboratories to improve their quality and obtain accreditation? ASLM can first encourage laboratories to organise for quality improvement. This can be done by training laboratory leaders on quality and on the ISO 15189 standard. ASLM-led personnel training could cover the implementation of quality management. ASLM can also support the training of a pool of internal auditors in each country. External quality assessment and equipment management are also difficult issues that laboratories cannot face alone; these activities could be facilitated be ASLM. Finally, ASLM can help by identifying accreditation agencies or by piloting accreditation evaluations, since audit costs are high and could discourage laboratories that are otherwise engaged in the quality improvement process. I have taken note of SLIPTA, the support programme for laboratories in the implementation of a step-wise quality process. I would like to strongly encourage the expansion of this initiative. The initiative could allow laboratories with limited resources to apply a quality system and reach accreditation. I hope that all medical diagnostic laboratories implement quality assurance and work according to prevailing standards. This is the key requirement to delivering accurate results. Consistent results are essential to ensure that the laboratory is a true diagnostic resource and effectively supports disease surveillance and research. I would like to thank all the institutions that encouraged and helped guide INH Lomé in the path to accreditation. I also thank ASLM for having honoured us with a certificate of recognition.